My mum sometimes gets in the mood to knit a little. 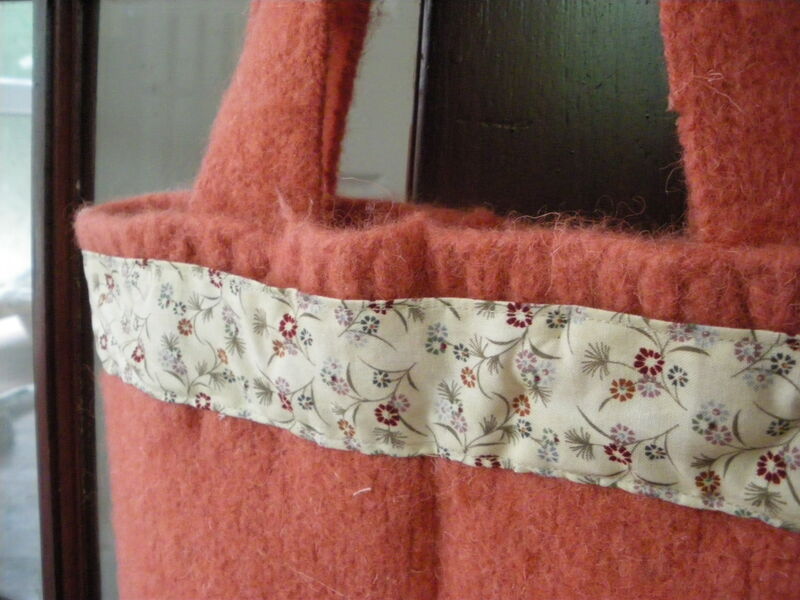 Last time the feeling came over her she got quite interested in felting and tried to make a bag in some random orange yarn. Felting it did work in that the stitches mushed together and it became very dense, but it didn’t shrink at all and still resembled a strange orange sack. I wish I’d taken photos of it originally. It was completely the wrong shape to be any use so I offered to do a bit of surgery. I started by cutting a chunk out of the centre as the edges were nice and round at the bottom and I wanted to keep that shape. I split the strip I cut out into two and turned it into handles, sewed in some lining and then handsewed a strip of the lining round the front. This was mainly to hide the sewing lines from the lining but I think it look ok.
My mum made this by knitting a garter stitch base, then picking up the stitches all the way around and knitting up in the round until she ran out of yarn. Pimps! I’m going to be going away in London next week for Knit Nation and I’d like to try and make a new bag for myself before I go. As well as another skirt and a black jersey top. Hmm….not sure this going to happen! I just need to finish the second of a pair of socks I’m making my mum while I’m away so I can make her up a little package of crafting when I get back. 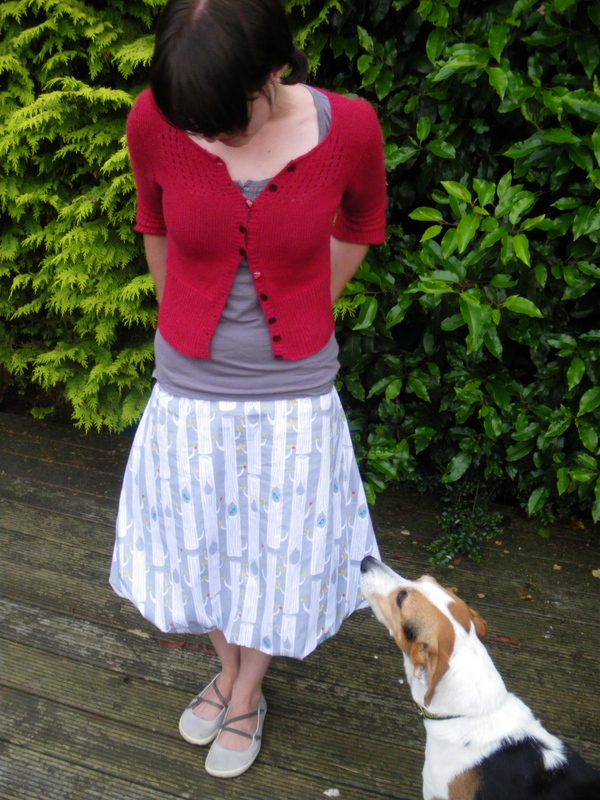 It was unbelievably easy to make – I used the basic skirt pattern I drafted using Cal Patch’s book. The lining was cut exactly to the original pattern, and then I used the slash and spread method to make a wider pattern for the main part of the skirt. 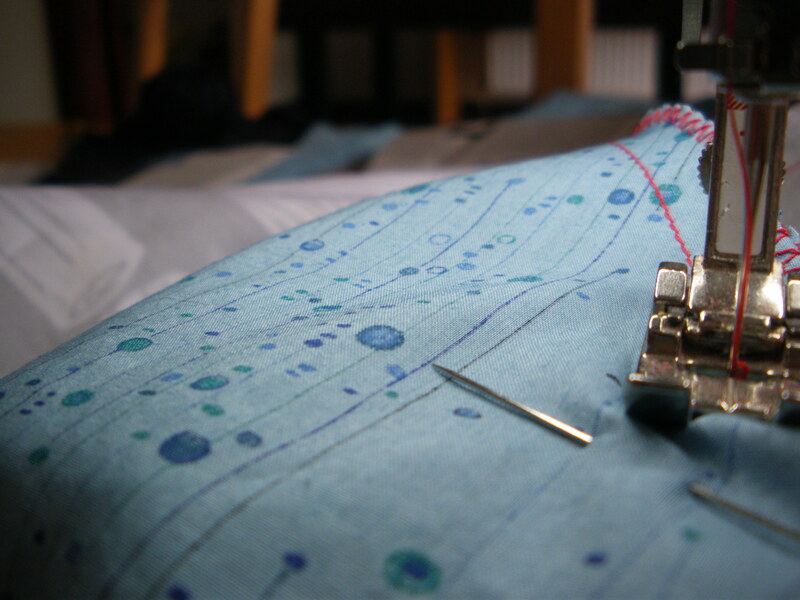 I made facings in the main fabric, gathered the bottom and then sewed the gathers to the lining underneath. I also added some cheeky pockets, just because now I know how to! Pretty hidden things make me happy. 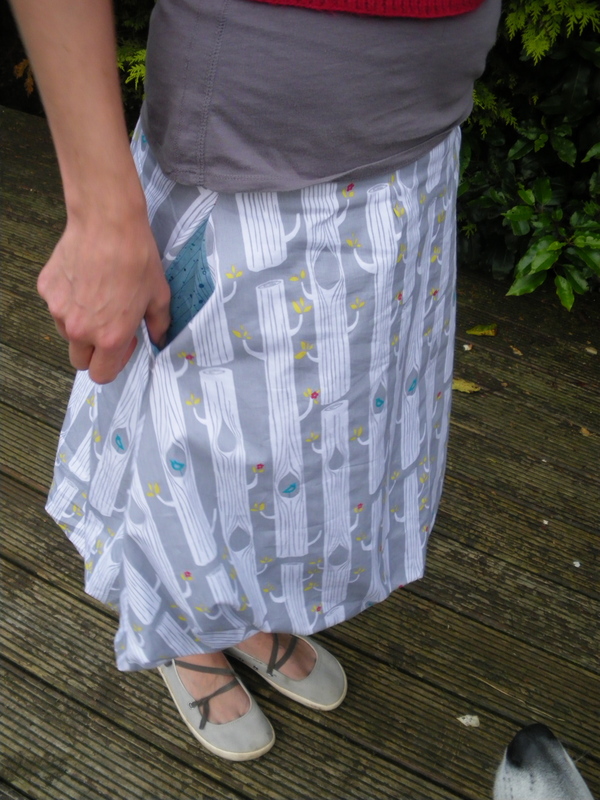 The main fabric is from Ray Stitch, organic cotton printed by Birch Fabrics. I went all fancy and used some leftover Liberty fabric for the lining and secret pockets, and lots of red stitching. 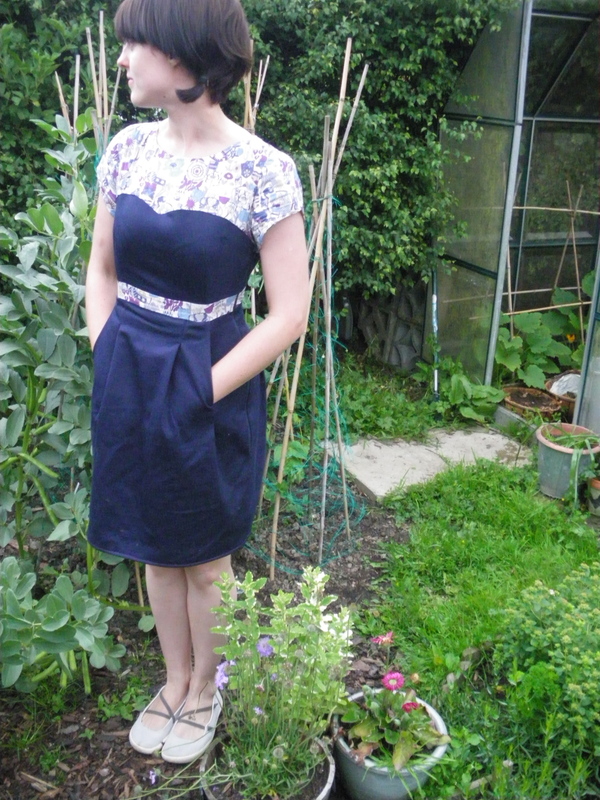 Its a teeny bit on the big side so needs a couple of alterations, but is still wearable and perfect for twirling. I did feel a little overdressed for the dog walk today, but heh, I liked it! This is almost done, I’ve made this from my basic skirt pattern with lots of alterations including pockets, facings, linings and bubble! 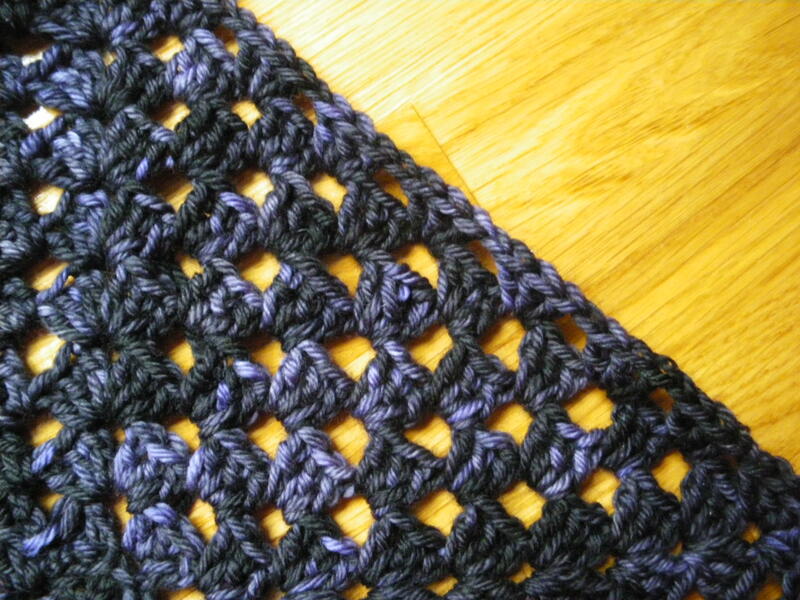 I also started a giant granny square blanket, beginning with some Madelinetosh DK. I made one last year for my Gran and it was so much fun, and lovely to have over my knees in the winter while I worked on it. 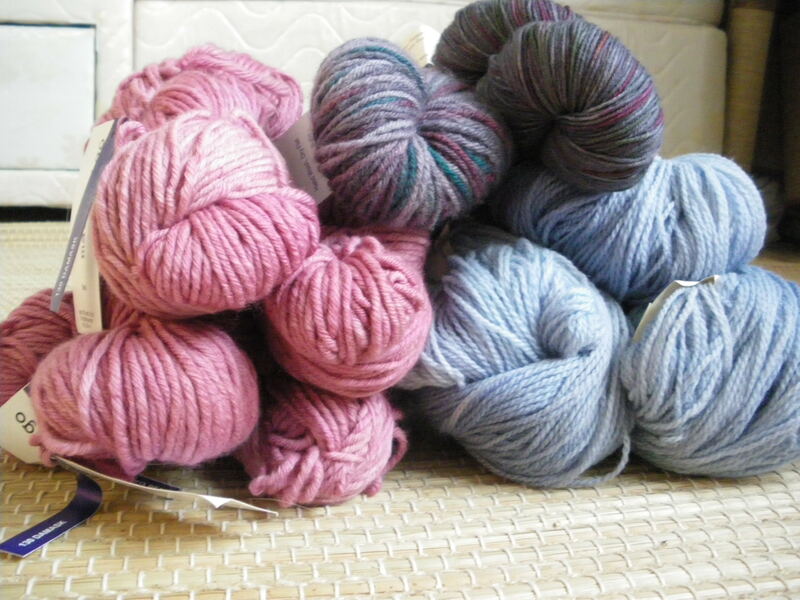 My new one though, is going to be all blues, deep purples, greys and neutrals and in some very nice yarn. 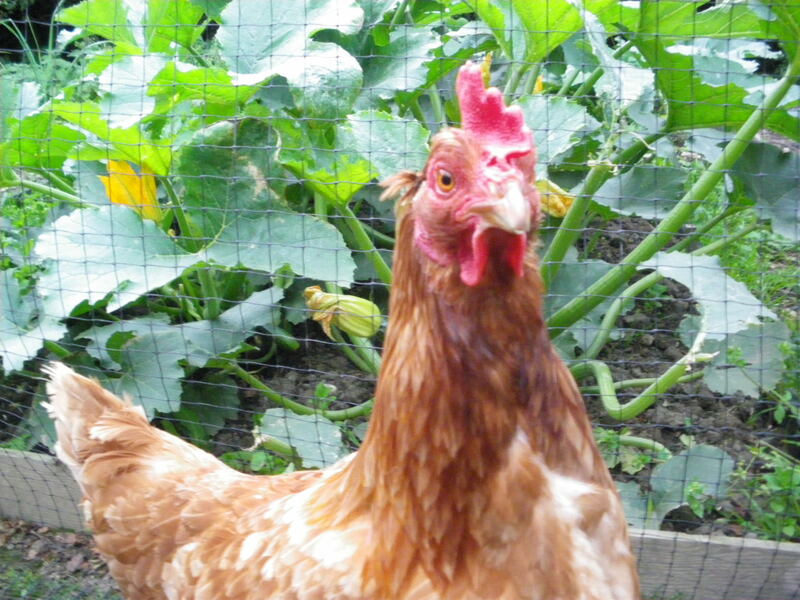 Firstly, don’t be fooled! 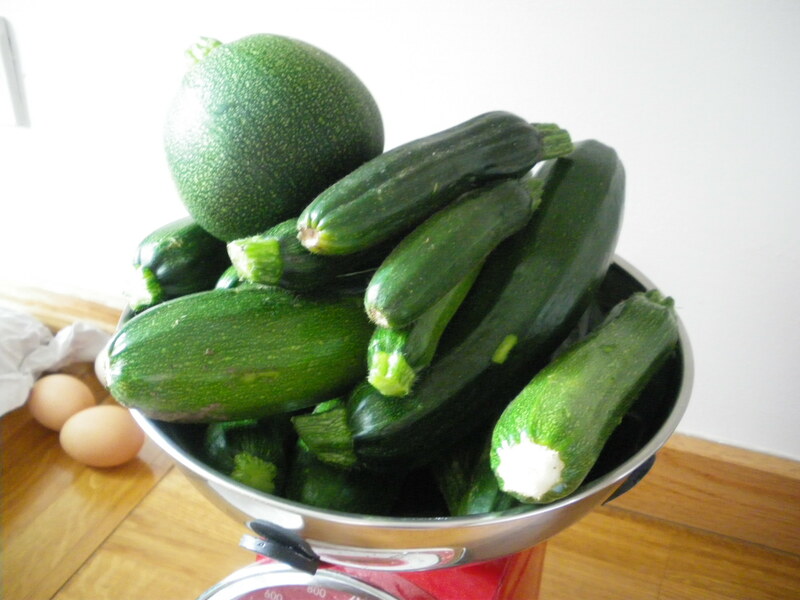 I am not some kind of strange two-days-per-project-no-matter-how-big-it-is girl. I’ve been working on this for weeks. 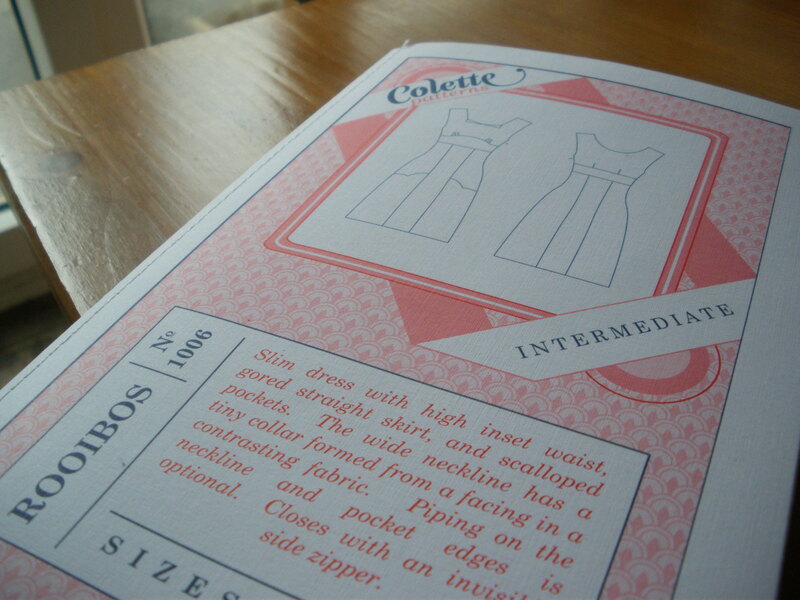 The block is taken from a pattern in Material Obsession, a very pretty book by Kathy Doughty and Sarah Fielke. 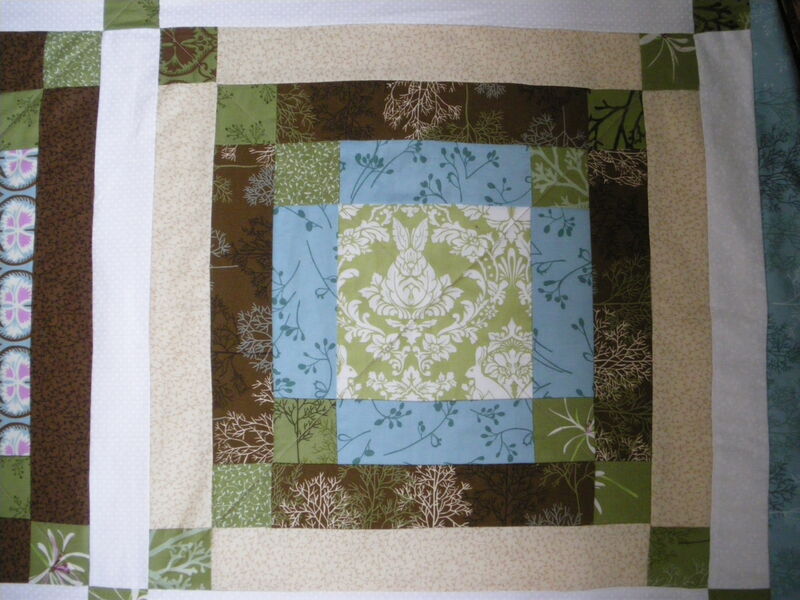 And the fabric is two Moda jelly rolls worth, with a Moda bunnies print, in green in the centre of the blocks and in brown on the back. I had intended to do the exact quilt in the book but as usual I got a bit carried away with one particular block, then decided to sash them all together with lots of leftover cream. 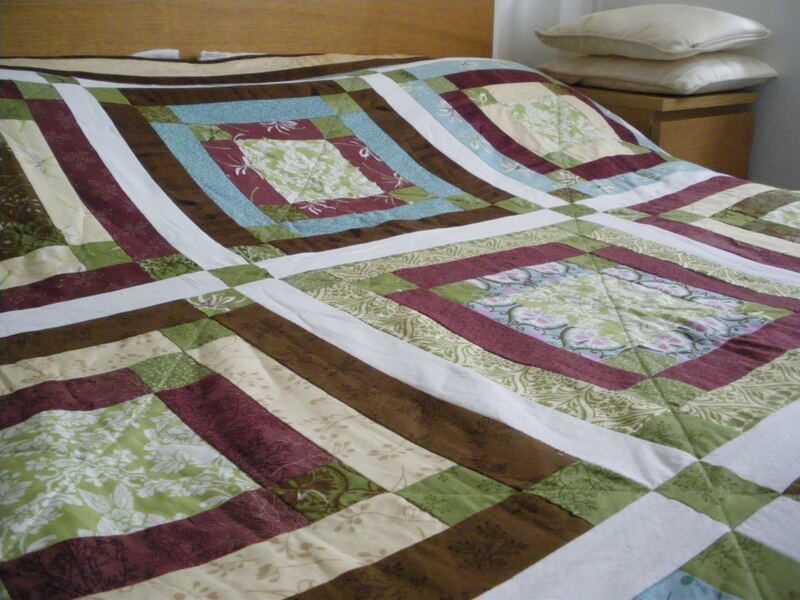 (I love an easy trick that makes a quilt bigger…) The edging is just all the leftovers, going round and round until I ran out, it worked out nicely. 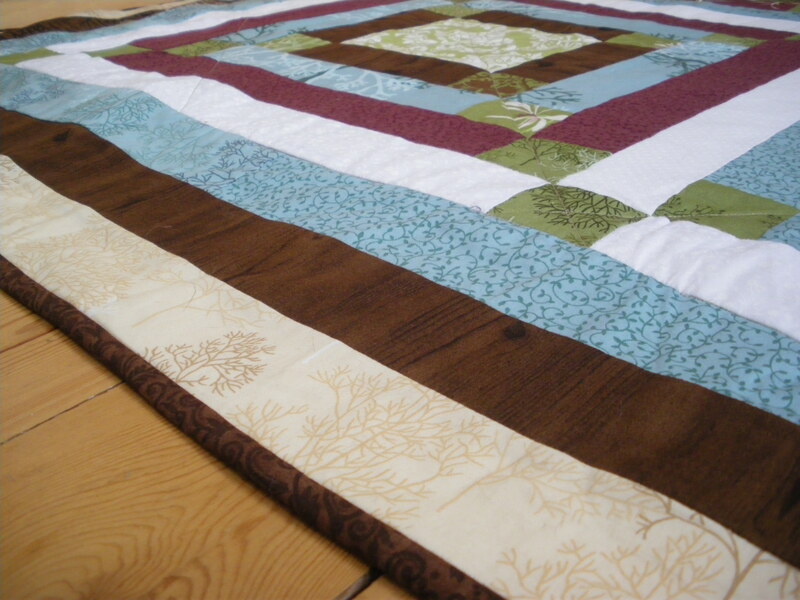 This is the first quilt I’ve made that I’m going to keep for myself – hurrah! My favourite bit is the edging, in just three colours from the quilt to keep it simple, and because I ran out of burgundy early on. 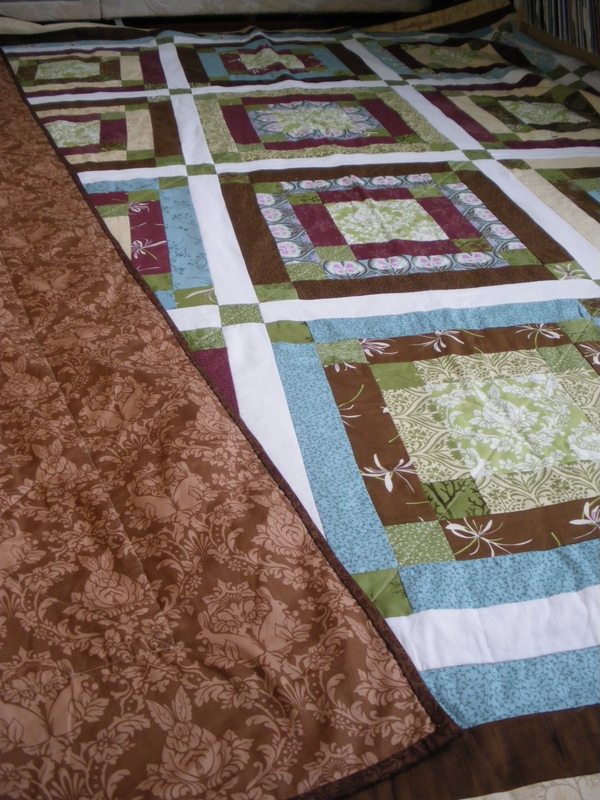 I already have a patchwork top and bottom for the next one just to be layered and then its time to say goodbye to the feed dogs and try some free-motion quilting. Yay! 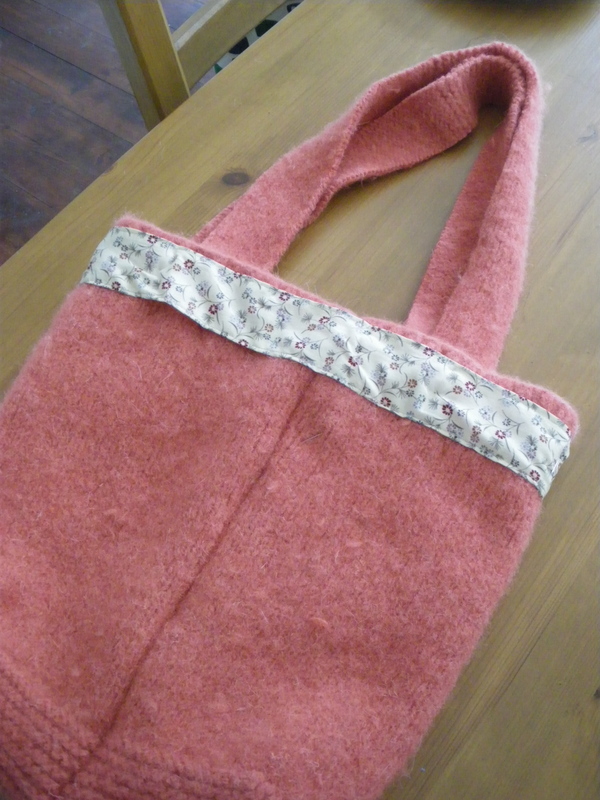 This weekend I got a bit obsessive with a new sewing project – here is Macaron! This my first time sewing a Colette pattern and I loved it. 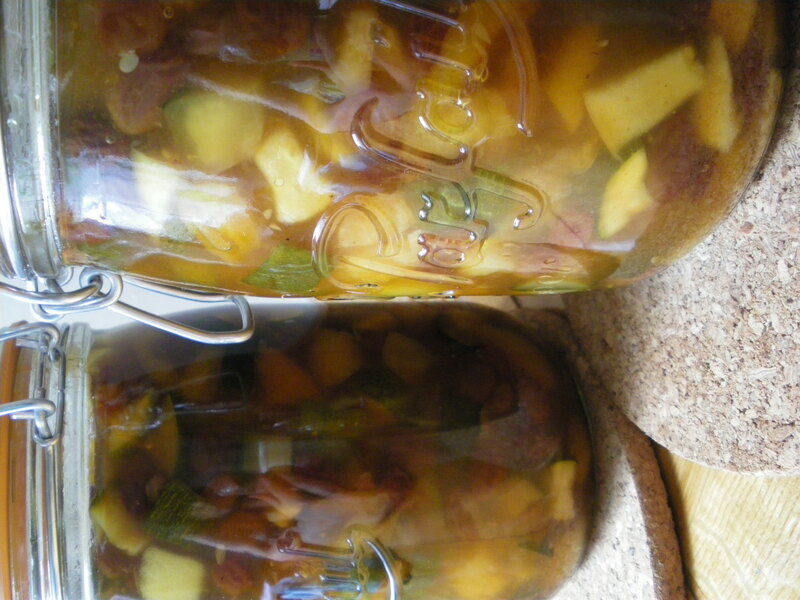 The directions are beautifully written and I learnt so many new things. Look! I sewed a sleeve!! 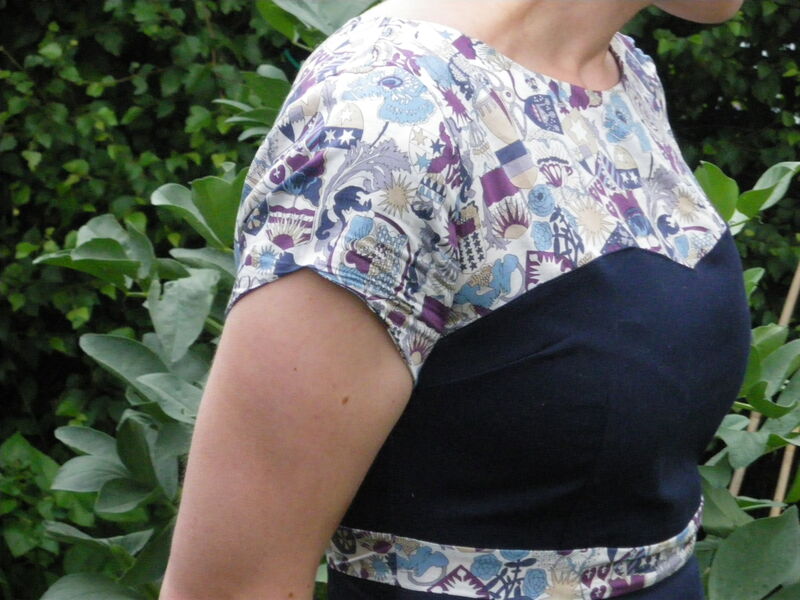 The printed fabric is some Liberty Tana Lawn and I used some plain heavy-ish navy cotton for the shell. I couldn’t be more happy with this if the pattern came with free cake! I have a couple other of her dress patterns to try. Other things about it that make me happy: it fits! there are no dodgy sewing bits! it has cheeky pockets! Yay! Last night I got a bit sucked into watching some grim events unfold on the news. After a while my fingers got too tired to knit so my spinning wheel came out along with some merino/nylon fibre from Krafty Koala, in a colourway called Waterlily. 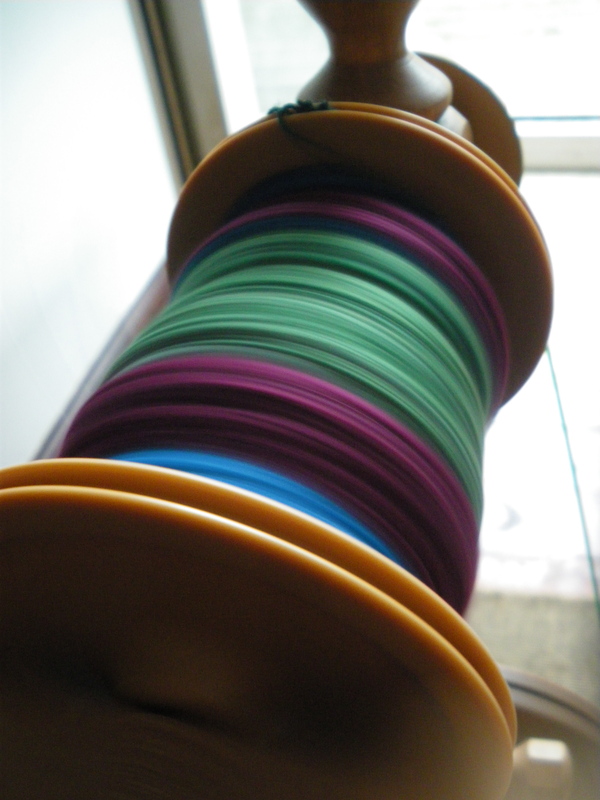 When I first started spinning I used to really struggle with merino for some reason, it was always overspun and twisty. 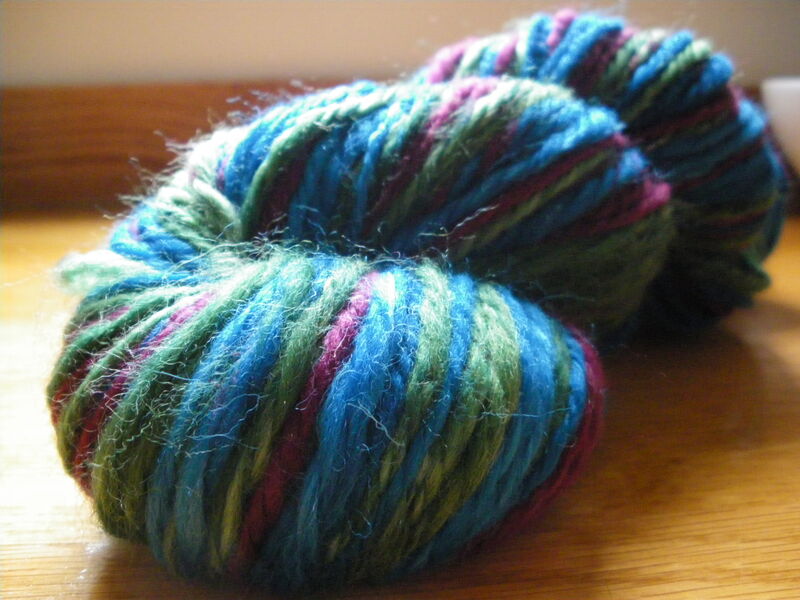 The practice has paid off though and this skein is lovely and squishy. I split the three colour sections pretty roughly, spun them in a repeating order and then navajo plied them to get stripes. The result is 130m of aran weight yarn, and a tiny dent in my fibre stash. I no idea what this will be become, maybe some mitts for my sister. 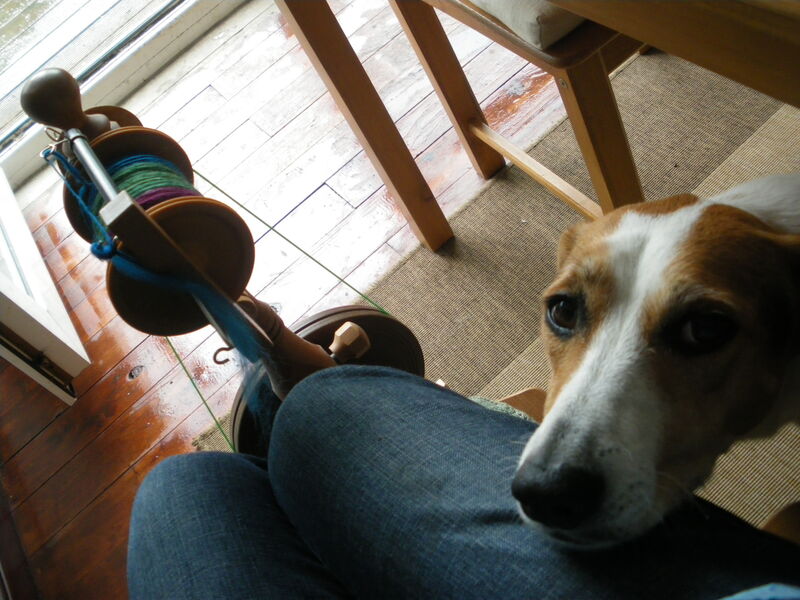 She ends up stealing most of my knitwear anyway, I might as well just knit with her in mind!